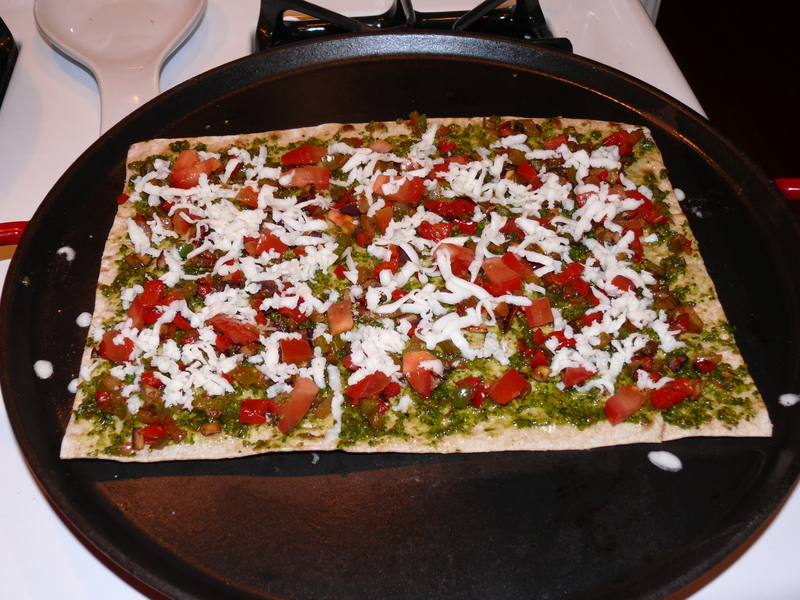 Basil Almond Pesto Lavash Pizza! 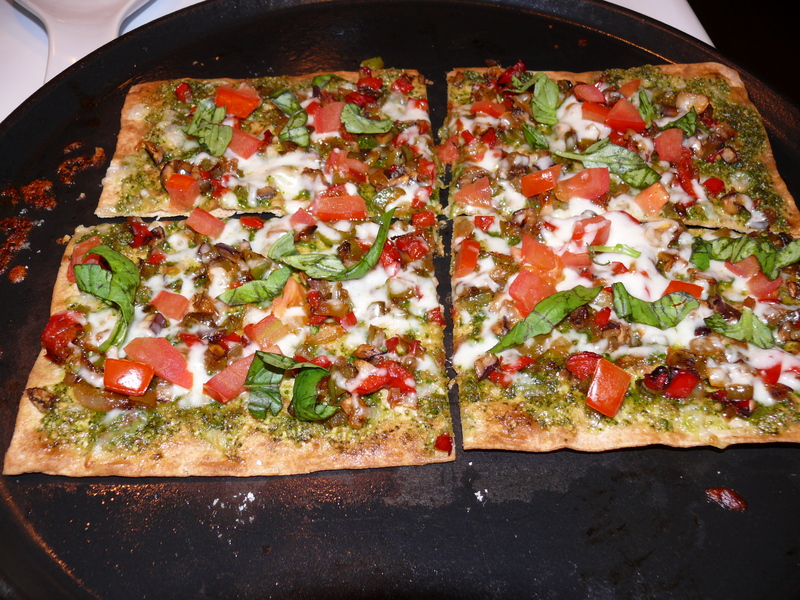 I had heard about using lavash for a pizza and then a couple of weeks ago we were in Austin visiting family and my brother in law made the pest pizza using finely diced vegetables and pesto. It was so good! So I decided to try a version using lavash and basil almond pesto. I absolutely love toasted almonds and they worked really well in the pesto. Heat the oven to 400 with a pizza stone or cast iron pizza pan in the oven. A cookie sheet also works just fine, but might take a minute or two longer. Heat olive oil in a skillet and saute the bell peppers for a couple of minutes. 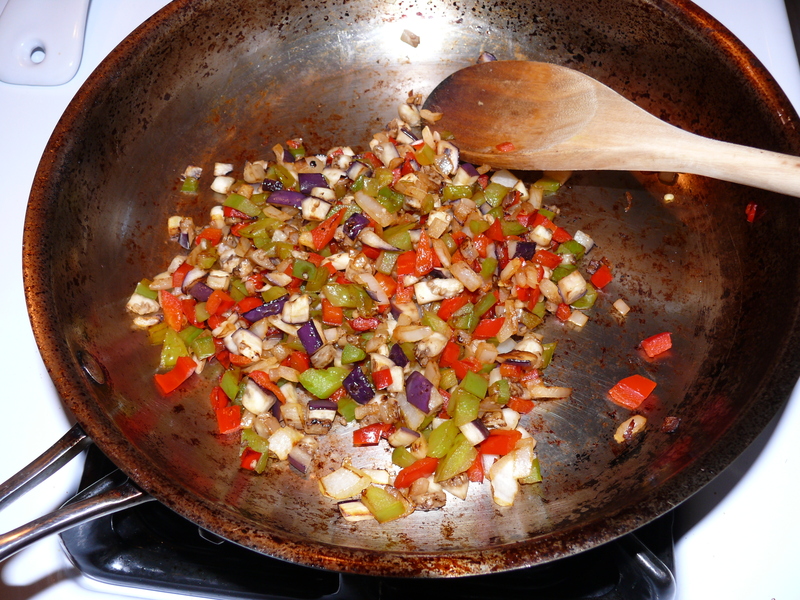 Add the onions and eggplant and saute until all the vegetables are a little soft. Spray lavash with olive oil spray and put on pizza pan. Cook for 3 minutes. Take out the pizza pan and flip the lavash over. Spread on the pesto, sprinkle with veggies, tomatoes, a tiny sprinkle of salt, and mozzarella. Cook for 5 more minutes, then sprinkle with basil and chili flakes.